Now you can dispense your Ashiatsu cream with no mess, fuss or chance of cross-contamination. clasp to keep it sealed. 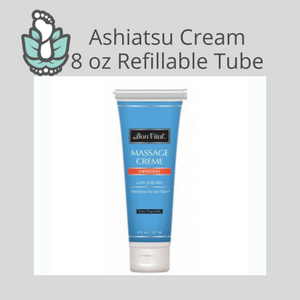 Ashiatsu Massage Cream in an 8 oz refillable tube is available. Now you can dispense your Ashiatsu massage cream with no mess, fuss or chance of cross-contamination. The tube has an easy refillable end with a clasp to keep it sealed. The consistency of this massage cream is perfect for Ashiatsu barefoot deep tissue massage. It stays slick for gliding and does not dry out like dual purpose massage creams. Reapplication is unnecesary. This massage cream can be used for regular Swedish massage. 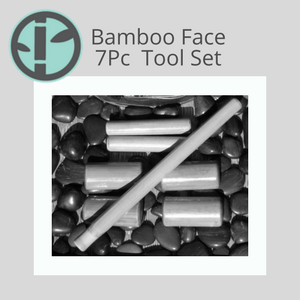 There is no scent, so perfect for sensitive clients.